Teacher Appreciation Scroll Box! 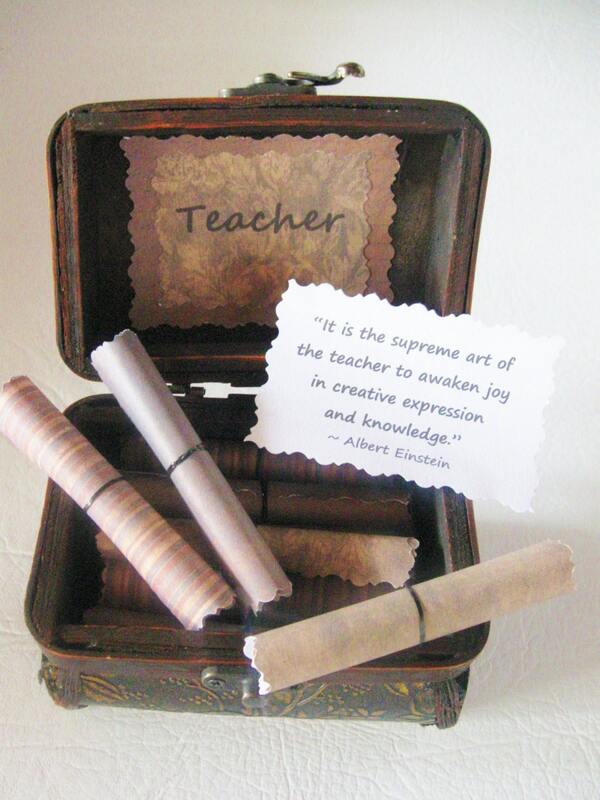 Treasure Chest of 20 Teacher Appreciation Quotes! Personalized & meaningful teacher gift for end of year! Show your child's teacher how much you appreciate their hard work & dedication with these teacher appreciation scrolls! 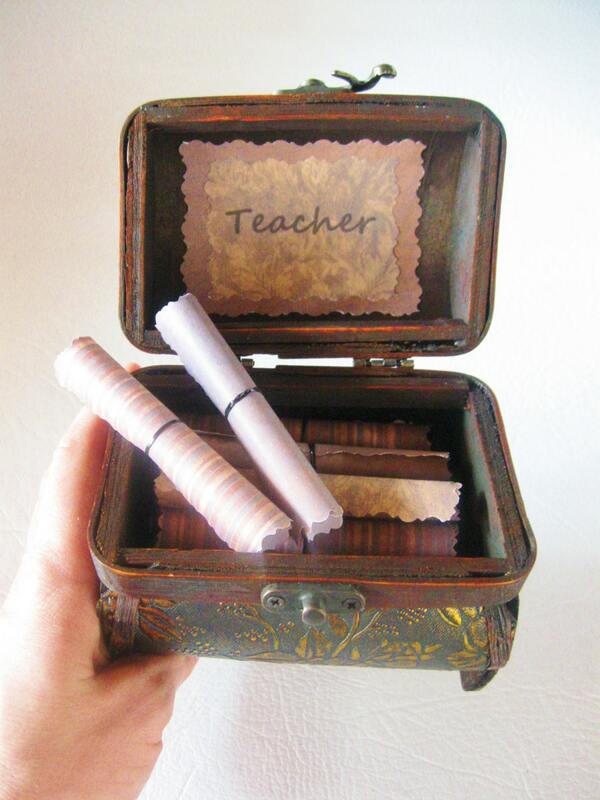 20 quotes about teachers written by authors, actors, presidents, and philosophers are printed on dark brown decorative paper, rolled into scrolls and placed in a wood treasure chest! 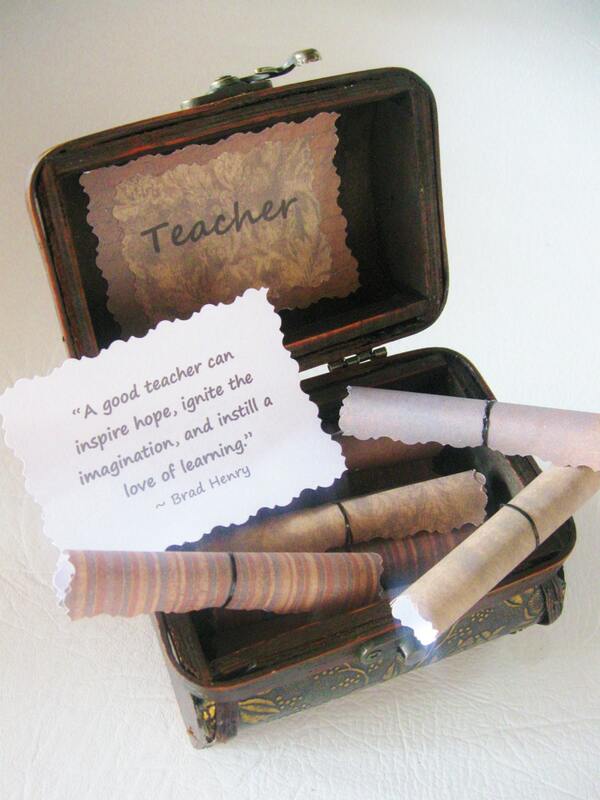 "A good teacher can inspire hope, ignited the imagination, and instill a love of learning." This is a teacher appreciation gift that lasts & lasts! After the scrolls have been enjoyed, the wood treasure chest can be used to hold trinkets! The wood box measures 4.5x4x4". 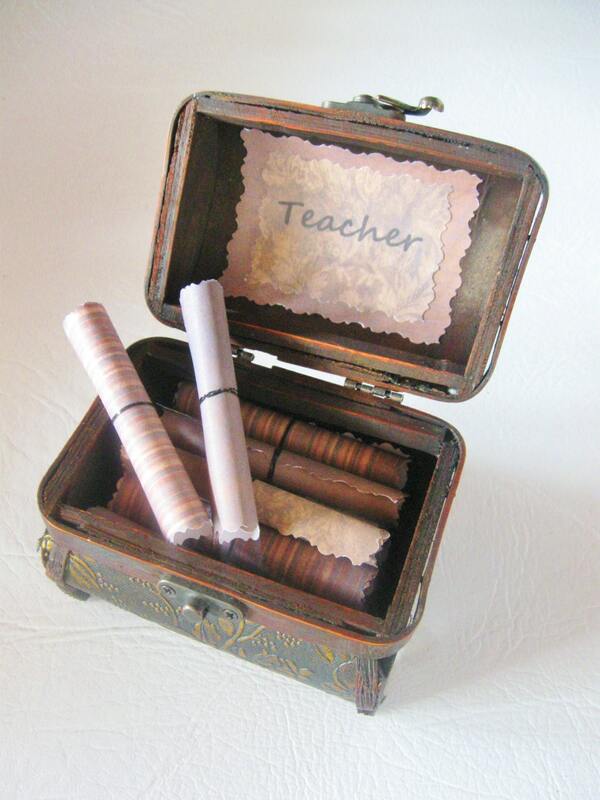 The inside of the chest lid can be personalized with "Teacher", or a custom message. For custom messages, please leave details in the notes to seller section at check-out. Please Note: Our normal processing time prior to shipping is 1-3 business days. During holidays (Mother's Day, Father's Day, Christmas & Valentine's Day) our processing time is 3-5 business days. Request a custom listing and have something made just for you! 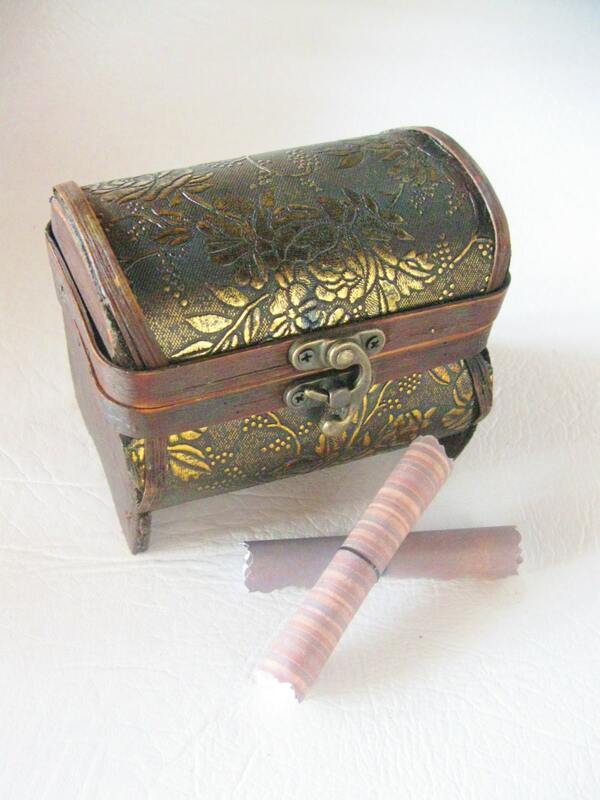 Personalize some or all of the quote scrolls in this box with this custom upgrade! Please leave custom scroll messages in the notes to seller section at checkout. Mom, Dad, Sister, Friend, Boss, Teacher, Grandma, Husband, Wife - we have a meaningful scroll box for everyone in your life!